Walt Disney World Florida Residents $99 Promotion - Should You Buy It? Disney World has started promoting the Florida Resident Special Offer: 2 Days at any of the 4 Walt Disney World Theme Parks; Magic Kingdom, Epcot, Disney Hollywood Studios, Animal Kingdom, for just $99 plus tax. If you like going to the parks or have friends coming to visit, this sounds like a great deal. However let’s look a little deeper and investigate. The offer runs now through May 21, 2009. Adults pay $99 and children age 3 – 9 pay $83 plus tax. This includes 2 theme park tickets for one park each day. 1. Black out dates April 4th – April 18th, ouch that is almost 14% of the time. 2. You have to use the second ticket within 14 days of the 1st ticket. - So don’t use your 1st ticket on April 3 or it is a waste of money. When this is Walt Disney World promotion a good deal? When you are coming for a weekend getaway and you want to go to one park 1 day and another the next. Or you know you have friends coming down and you know that you want to spend time with them but the idea of buying two full price tickets is driving you crazy. Then this can easy your pain and give you what you want for less. You are planning to visit once in March and once in May. If you don’t have set plans to come back and visit again within two weeks, most likely you won’t return. So while this Disney Florida resident deal is good for some, make sure you understand the promotion before laying out the cash. Universal Studios is prmotiing their 2 Park Pass for $99.99 for Florida Residents, but in these tough times is this a good deal? 2. 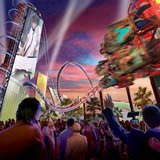 You get to enjoy Universal Studios and Islands of Adventure now through December 19th. But there are Black Out Dates. 4. Basically come and go as you please spend 2 hours or all day! 1. You have to pay parking each time you go. Note: It says to get discount you need the UPC Code from any Coca Cola Product. If you enjoy Mardi Gras and Universal Studios and Islands of Adventure. This is an exceptional deal, as long as you go to the parks. Seriously, if you live in Orlando do you want to go to the parks in July. I didn't think so. Plus this pass pays for itself if you just want to go to 3 of the Mardi Gras events. Learn more about Universal Studios. Fans of American Idol get ready for a new experience and your opportunity to audition for the real American Idol tv show! The American Idol Experience currently is in soft opening at Disney's Hollywood Studios and is preparing for it's official launch February 14th. For aspiring singing this may just be your ticket to audition for the show in person! Right now the show is running daily but the schedule is unpredictable as they are working out the kinks so that when they launch on the 14th it will be smooth sailing. 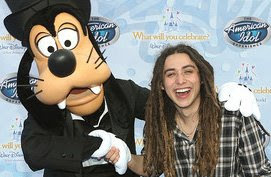 So here is what future American Idols want to know, How can I be on the American Idol Experience? Well, there is no guarantee but here are the steps involved. 1. You must be at least 14 years old or older. 2. You’ll have to sing a cappella in front of a casting director. 3. If you pass that test then you can select on of 113 songs to sing. 4. Then a final producer will select who sings for the audience. Right now they plan to run 7 preliminary shows during the day with three singers each. So 21 singers will be able to strut their stuff each day. The winners of each of the preliminary shows will advance to the daily finale. The finale winner earns a Dream Ticket to audition for American Idol without having to wait in the massive lines for next year's American Idol competition. 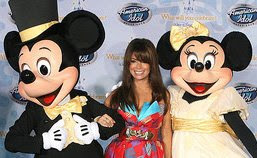 Please note Disney could change how this is run at any time, but overall it is exciting that you could be on vacation in Florida and maybe next year on on American Idol! This sounds like an exciting event and if you have the voice then the American Idol Experience many turn out to be your ticket to stardom! We can't wait for February 14th. Wow, everyone in Orlando is buzzing about Universal Studios giving away 300,000 7 day passes to both Universal Studios and Islands of Adventure. Wow it is quite a promotion, but just like Disney's - What will You Celebrate promotion it's profitability is based on the fact that you rarely come alone to a theme park. Unless it is part of your job, like mine. Looking at the promotion today, I can only hope that the redemption rate is high. I say this because Orlando like many areas is struggling and it will be disappointing to know that some people who signed up yesterday will never show up to use the prize. I thought about entering my name in the contest and held back on the submit button. To me it is more important that someone come and visit Orlando then me getting a freebie. Anyways, I hope that most of the 300,000 winners come and visit Central Florida and I hope that most of the winners lived more than 5 hours away. This way they will stay a few days.